Marcus Corey grew up on the small ski slopes of Titcomb Mountain in Farmington, Maine. As the son of a part-time pastor, he found God through his love of the outdoors. Fast forward a few years, Marcus and his new wife moved to Jackman, Maine where he was the retreat director at Moose River Outpost, a Christian summer camp on Heald Pond. During the winter months, Marcus and his family enjoyed skiing at nearby Sugarloaf Mountain where he became good friends with the Chaplain. The Sugarloaf Mountain Chaplain recommended that Marcus look into becoming a ski mountain chaplain and put him in touch with Skip Schwartz at Loon Mountain, who was looking to retire in the coming years. Marcus loved his work at Moose River Outpost and couldn’t imagine ever leaving the job.  After a weekend trip to Loon Mountain, Heidi, Marcus’ wife, asked, “we’re moving to New Hampshire, aren’t we?” Marcus and his family moved to North Woodstock soon after where he took over the Loon Mountain Ministry in 2012. The Loon Mountain Ministry has a long and interesting history. Skip Schwartz literally wrote the book on ski mountain ministry. It’s called Servants on the Slopes. Skip began his ministry duties in the 1980s on Mount Desert Island in Maine. Skip realized that people didn’t want to walk into a random church while on vacation, so he began a weekly church service on the beach open to everyone. The idea grew like wildfire and Skip brought the concept to Sugarloaf Mountain per the suggestion of one of his summer worshipers on MDI. Skip ran the Sugarloaf Mountain Ministry for eight years before handing over the reins to Pam and Earl Morris. He started his next mountaintop ministry at Waterville Valley in the early 1990s, but they weren’t too keen on the idea. Loon Mountain, on the other hand, was an upcoming young ski resort with a General Manager who loved the idea. He built an outdoor amphitheater on top of Loon Mountain and gave Skip the keys to his kingdom in 1992. In the mid-1990s, the Loon Mountain Ministry opened a thrift store on Lincoln’s Main Street that employs about eight people with over 20 volunteers. Each year, the Encore Thrift Shop provides over $25,000 in local assistance for families in need. Six years ago, about 40 local residents came to Marcus with the idea of a physical church in town for the local year-round residents as the Loon Mountain Ministry is seasonal. “I went to the local community center in Lincoln to see if I could rent the room on Sundays, and I was told someone else had already reserved and paid for the space for the next two years! It was a sign from God,” said Marcus. About 100 people gather at the community center on Sundays. There’s a Sunday School for the kids and a special Wednesday Bible study where kids will eat dinner, study the Bible, and then hit the local community center ski slope! The Loon Mountain Ministry is a unique experience. Open to people of all religions and beliefs, services are offered from December 23rd through April 14th and June 17th through October 7th at the Summit Amphitheater. Summertime services are held at 11 am, and you’ll need a special $9 Gondola ticket to the top. 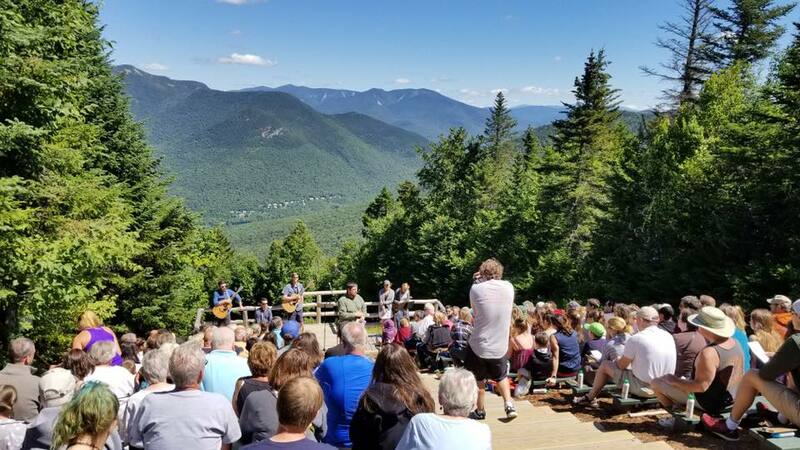 The amphitheater offers breathtaking views of the White Mountains that you can’t get elsewhere. There’s room for 200 people seated. It’s not uncommon for over 300 people to attend the service during peak foliage. During the winter months, a 9 am service is held at the Lincoln-Woodstock Community Center every Sunday with an 11:30 am mountaintop service near the Summit Café on the trail called Harder Way to follow. Each service starts with music, scripture reading, and a short message followed by a ski down. The Loon Mountain Ministry hosts two special services – Christmas Eve and Easter. The Christmas Eve service will attract over 500 people who gather around a 30 foot Christmas tree to present the snowmakers with the first gift of Christmas. Afterward, a candlelit service is held in the lodge. The unique sunrise Easter service will bring a crowd of over 700 people to watch the sunrise over the mountains. It’s something you don’t want to miss! 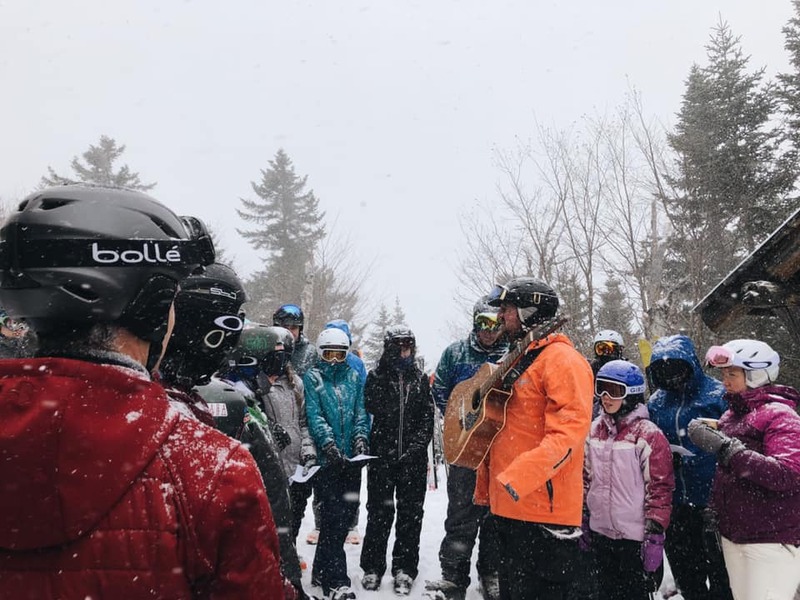 As Marcus likes to say, “we’re bringing church to the people.” With Easter falling outside of the ski season this year, the Easter sunrise service will be held at the Kancamagus Pass. Starting on April 2nd, Marcus and his family will be heading to Springer Mountain, Georgia to begin their 2,000+ mile journey to Mount Katahdin via the Appalachian Trail. You can follow along with their journey on their YouTube channel, A Mile in Their Shoes or on Facebook. In the meantime, join Marcus and his family at the Loon Mountain Ministry.